21 men and women who go above and beyond to make North Texas a healthier place to live. For our inaugural excellence in nursing awards, we asked doctors, patients, and other nurses to nominate the most outstanding nurses in North Texas. We really didn’t know what sort of response we’d get. So we were both gladdened and overwhelmed when we received 349 nominations. There was the nurse who contained an outbreak in a school. Then there was the nurse who staged a senior prom in the hospital for a patient who couldn’t attend his. Each nomination seemed more compelling than the last. Thankfully, we had some help picking the winners you’ll meet in the following pages. They all deserve our gratitude and far more words written about their hard work and good deeds than we had space to accommodate. Many have landed in the hospital by way of dirt bike accidents. This is true in the life of Cherie James, though in her case, she ended up the nurse, not the patient. She found her calling on cross-country road trips with hundreds of bikers. Word got around that James had a knack for treating injuries. 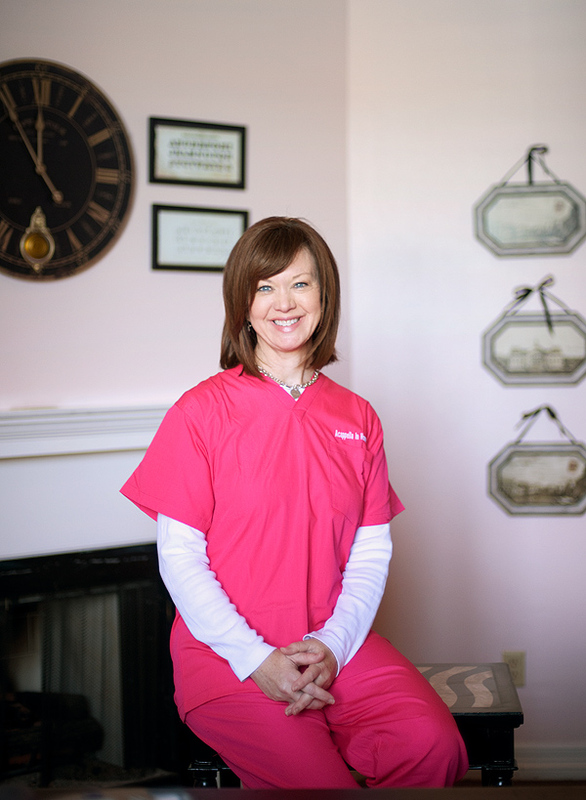 She has worked as a nurse, officially, for a decade now—six years at Methodist Charlton Medical Center, where she swiftly moved up the ranks to become a nurse manager in the orthopedic unit. One of James’ significant contributions to the hospital was launching a weekly joint academy that prepares patients for surgery and recovery. She interviewed physicians to supplement the given material with small things that often become a big concern. Many rehab facilities are housed within nursing homes. James realized that before sending a patient home, it’s a good idea to have someone put away rugs and crate pets, anything that can trip and reinjure a bum knee. Then she noticed a need and implemented a Spanish version of the program. Over the years James has continued to help others off the clock, whether it’s assisting a patient with his first at-home injection or aiding volunteers struck by heat exhaustion during a taping of Extreme Makeover: Home Edition. Baby J spent the first six months of his life in the hospital. Since his young mom was able to visit only on weekends, Dana Polk, staff nurse at Texas Health Presbyterian Hospital of Dallas, organized volunteers to hold Baby J, made sure the same few nurses cared for him, decorated his crib, and, as he got older, worked with therapists on activities to help him gain strength. Recognizing that her duty is to care for families, not just young patients—a core belief that only intensified when her own newborn ended up in the neonatal intensive care unit—Polk involved Baby J’s parents as much as possible. She encouraged them to speak Spanish to the infant so they would stand out among his various caretakers. In addition to her regular duties, Polk has found time to research and order a teaching doll for ostomy care, develop a new weaning policy, co-chair a palliative care committee, and work through a leadership program. “The whole idea is to improve the care of these little important patients,” she says. Each day offers new challenges for Jane Le Vieux, a psychiatric consult liaison nurse at Children’s Medical Center of Dallas. She evaluates and creates care plans for children who have attempted suicide, experienced trauma, and suffer from depression due to chronic illness. In her line of work, complex situations are the norm. One such case involved an autistic boy on a very hot day. He was circling his mother’s car and refused to enter the hospital. Le Vieux dropped what she was doing and met her colleagues in the parking garage. It took an hour and a half, but she and her music therapist helped calm the boy and get him to an annual checkup that would have otherwise been rescheduled, only to turn into a similar scene. As a school nurse, Debbie Malloy’s job isn’t just handing out Band-Aids and treating headaches. It’s also dealing with sports injuries, rolling a wheelchair to aid a student who just had a seizure, and having the intuition and experience to know when stomach pains are really pains and not just an aversion to calculus. She took the job at Highland Park High School 16 years ago—after working as a nurse in an ICU and in the gastrointestinal field—because her son had started school and the hours were good. That’s not to say it’s easy. She’s responsible for 2,000-plus students and nearly 200 staff members. This includes working with teachers and parents to develop health plans for the clinic’s “frequent flyers”—students with life-threatening allergies, special needs, or physical challenges. “Being in class is always the priority,” Malloy says. With that goal in mind, she initiated a research project that showed positive results after teaching students how to appropriately use the clinic. Still, when a student comes down with a bad case of calculus midterm or drill team tryout, Malloy says a 15-minute break and a little emotional support are the best medicine, and she has a keen sense of when one needs more. Elizabeth Allen’s alarm goes off every weekday at 3:50 am. Ten minutes later, she begins her workout. 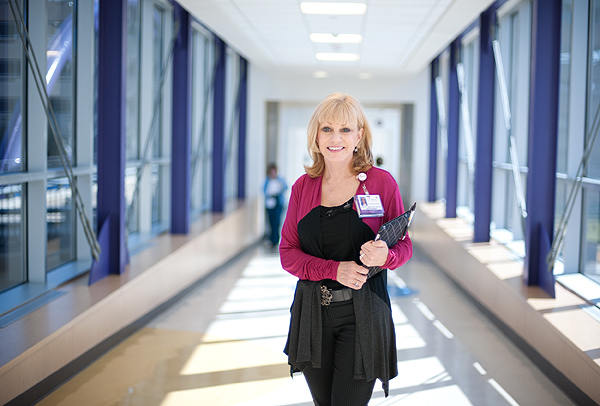 By 5:50, she steps onto the fifth floor of UT Southwestern University Hospital-Zale Lipshy, where she spends the next 12 hours testing and preparing neurosurgery patients coming in, and helping those in recovery go home. That the floor has the highest patient satisfaction scores in the UT Southwestern system, and that the program consistently receives national recognition, is largely due to Allen’s efforts, says neurosurgeon Bruce Mickey. 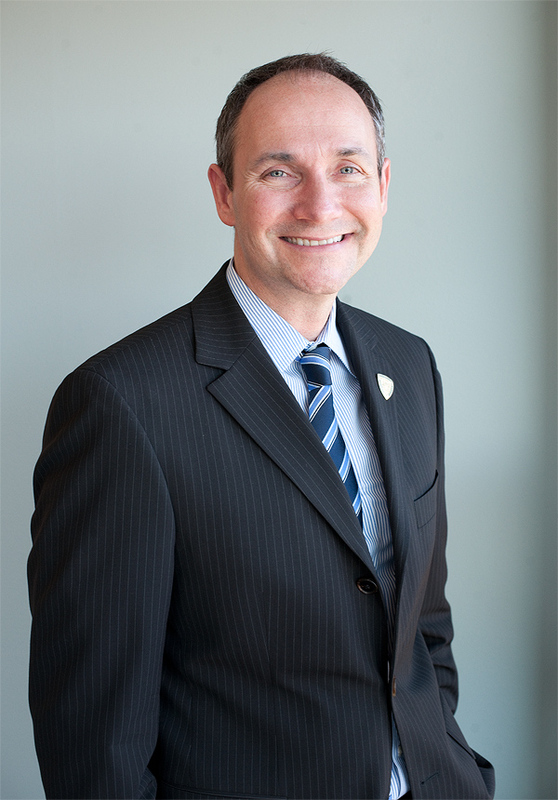 He cites, for example, that Allen, a nurse clinician and faculty associate, collects meal vouchers given to physicians and discreetly hands them out to the families of patients who might need help making ends meet. Allen attributes a job well done to loving what she does and the ability to effectively communicate with everyone in the hospital. “I can get along with anyone from housekeeping to the chairman,” she says. “That’s how I was brought up.” It was Allen’s father who taught her not to judge people by the title on a name tag. And given that he was blind and still ran a restaurant, she surely learned something about a hard day’s work from him as well. If Texas Oncology is a party, Casey is the resident planner. The nurse, whose official title reads practice administrator, organizes frequent potlucks and events for both employees and cancer patients, all in the interest of maintaining a light atmosphere during an oppressive battle. Casey also assembles care baskets for patients in need, gathers back-to-school supplies for their children, writes sympathy cards for grieving family members, and congratulates those who have completed treatment with confetti and a chorus of nurses. Starting an in-home care business with no loans is quite a feat. Doing it while working two jobs with two kids and a husband valeting cars at night is almost impossible. But that’s what Alch did seven years ago when she started Acappella In Home Care, which now has 250 employees. Alch, who searches for nurses who are interested in more than just a paycheck, says those who join her firm must be truly committed. “My philosophy is we are a snapshot of that final chapter for that family, and I want to make sure it’s just wonderful memories,” she says. A charge nurse barking instructions. A baby turning blue. Parents in distress. These elements can rattle a student nurse, and they’re all covered in game-based training simulations Judy LeFlore created with the Arts and Technology department at the University of Texas at Dallas. Virtual patients give nurses the chance to see, for example, a retraction in a chest and hear a cough symptomatic of pneumonia. Students must treat patients in real time, with consequences if a mistake is made (e.g., the ice-blue infant).